The Origin of energy overdensities in the CMB. The Cosmic Background (CMB) energy overdensities can be explained by a Big Bang Black Hole splitting and evaporation process, according to Quantum FFF Theory. "Gravitational waves from oscillons after inflation" by Stefan Antusch et al. Big Bang Inflatons and Oscilons compared with Big Bang Black Hole splinters. 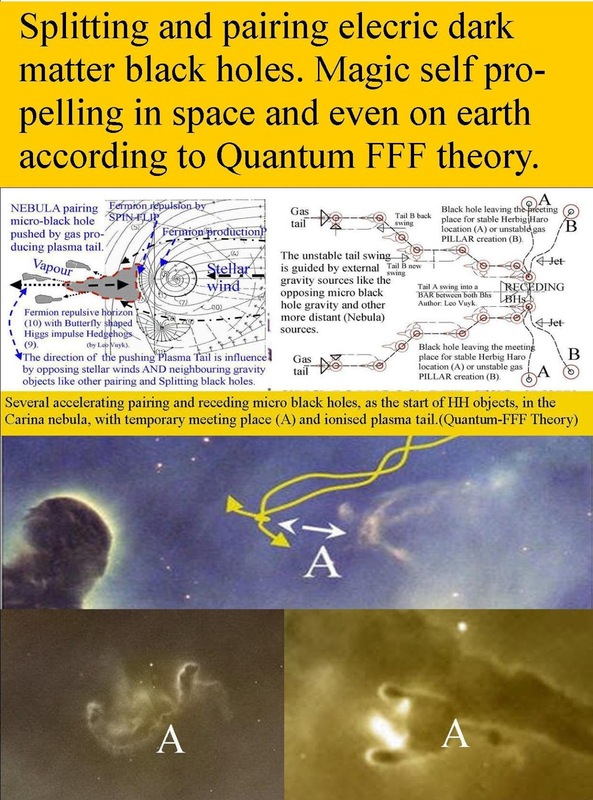 "Modern cosmology assumes that at that time the Universe was dominated by a particle known as the inflaton and its associated field. The inflaton underwent intensive fluctuations, which had special properties. They formed clumps, for example, causing them to oscillate in localized regions of space. 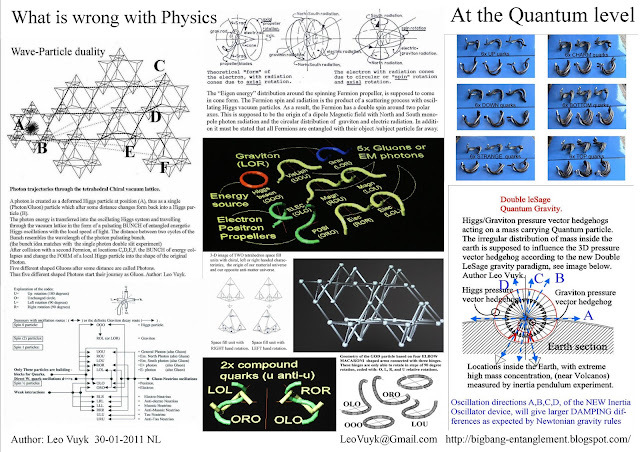 These regions are referred to as oscillons and can be imagined as standing waves". 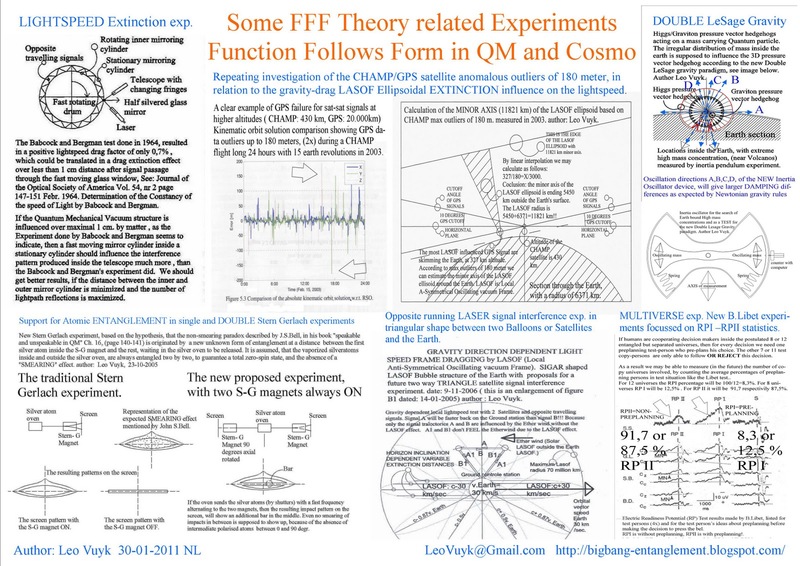 and: "Gravitational waves from oscillons after inflation" by Stefan Antusch et al. 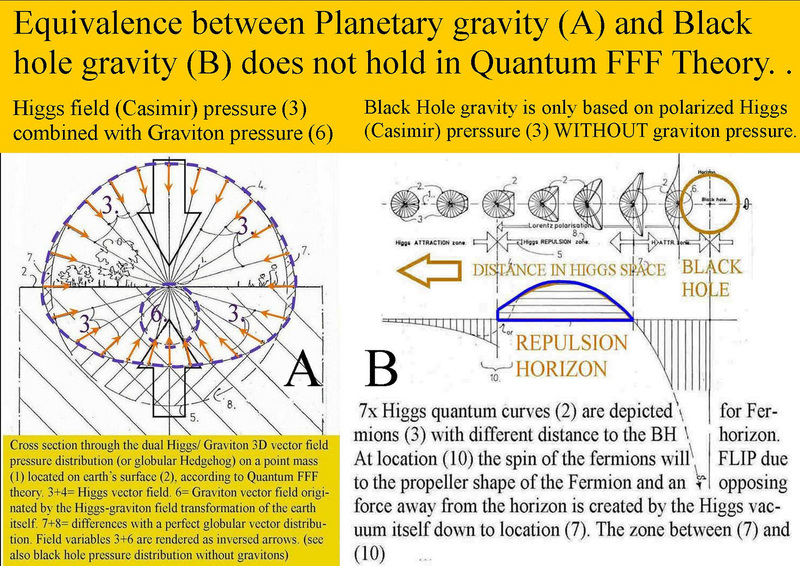 In Quantum FFF Theory however, these Inflatons and Oscilons can be compared with the Big Bang Black Hole splinters and the evaporated oscillating Axion Higgs field. 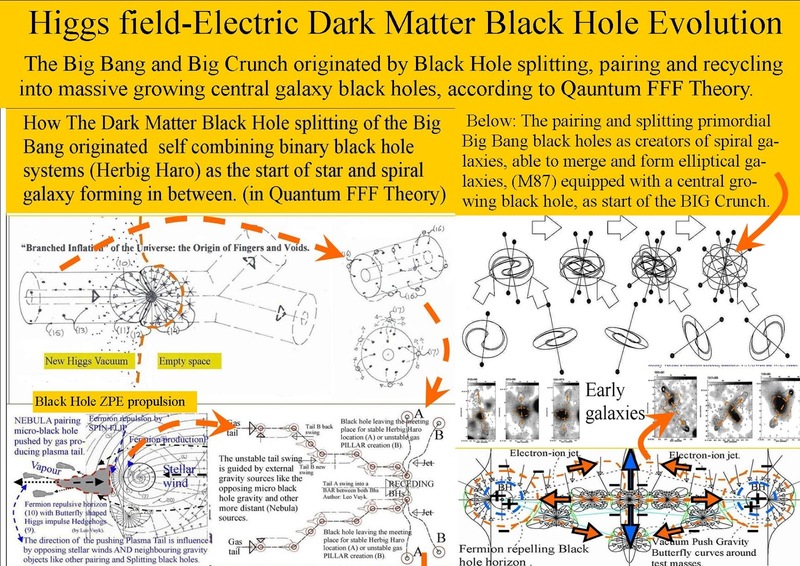 see: "The Splitting Dark Matter- Black Hole- Big Bang and the Cyclic Multiverse"
"Local Anti Symmetric Oscillating reference Frame or LASOF. 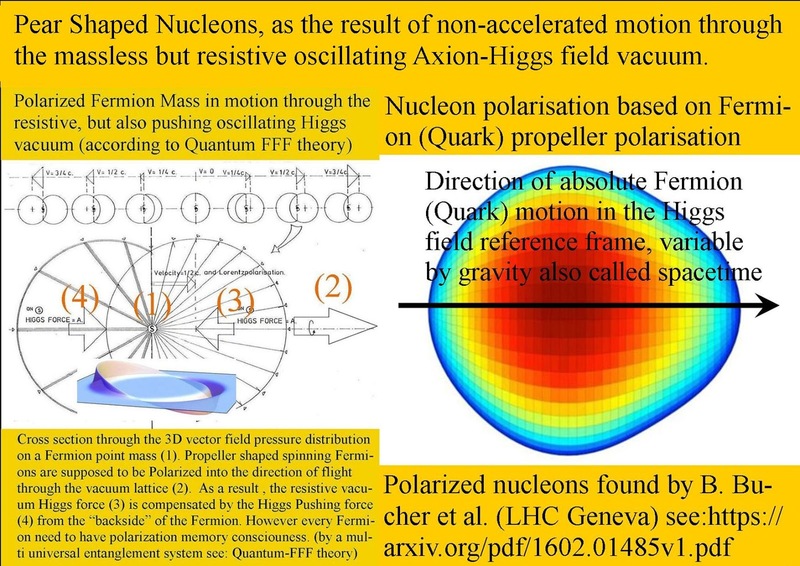 Propeller Fermion spin 1/2 by vacuum propulsion and photon transformation. Propeller Fermion spin 1/2 according to Quantum FFF Theory. 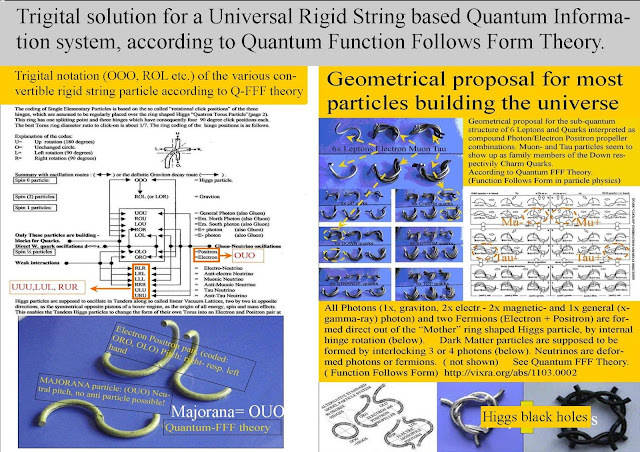 The system is based only one mother torus, convertible by three internal hinges and one splitting point. How elementary particles ( rigid string propeller Fermions) rotate with spin 1/2. 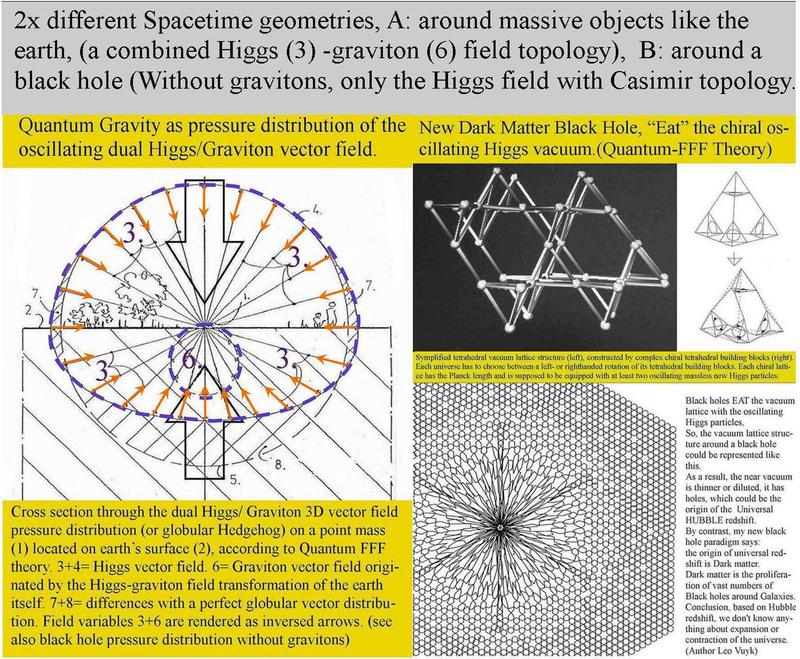 2x axial rotation and one spin rotation as the origin of spin 1/2, powered by the ocsillating Axion Higgs field vacuum particles (blue), which is partly crushed into photons (yellow) by the milling process. 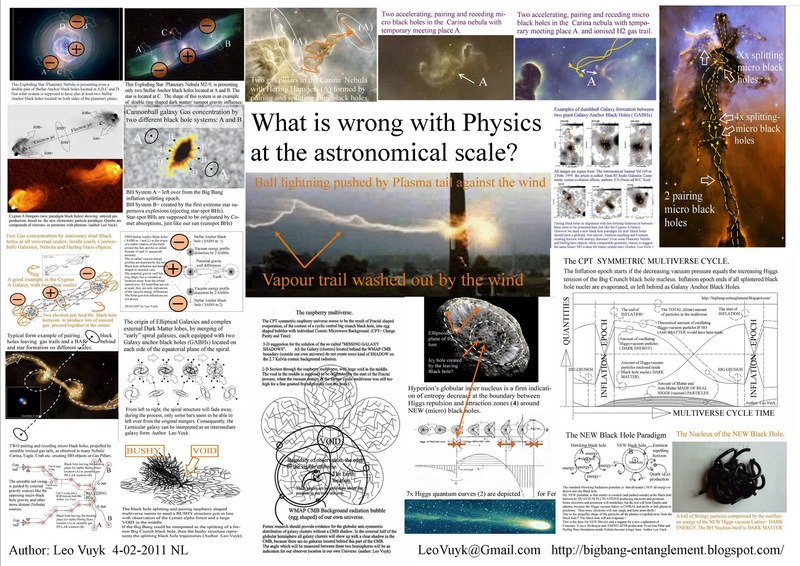 According to David Bohm and Jean Paul Vigier, there should be guiding system for each single particle but which? 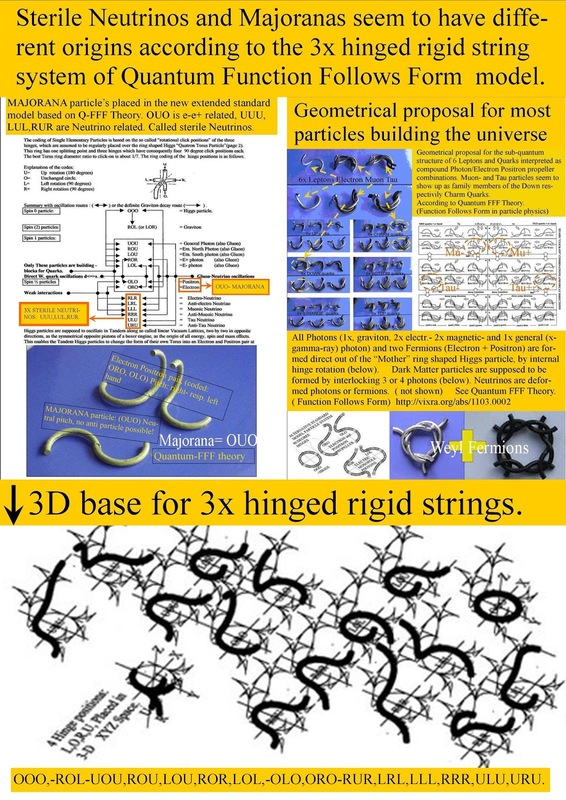 Could somebody come up with a mathematical suggestion for the rigid string particle geometry family below. The system is based only one mother torus, convertible by three internal hinges and one splitting point, shown below? 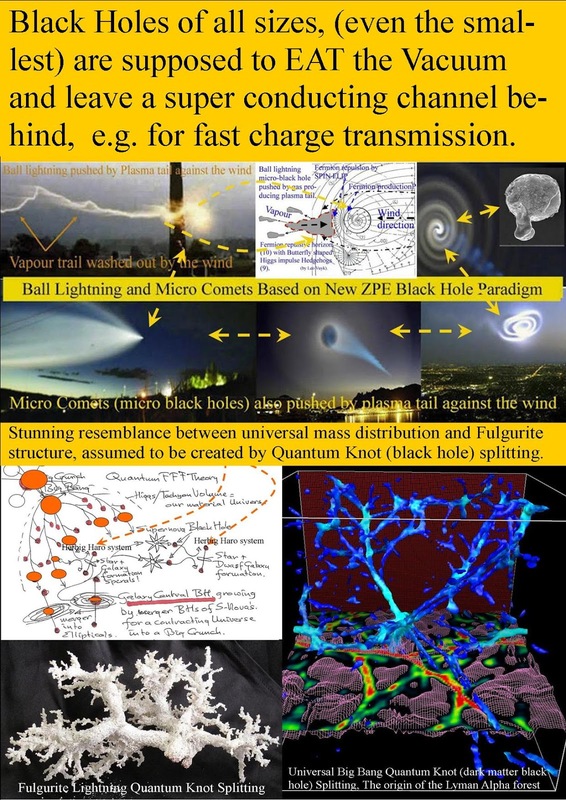 The black hole nuclear scale boundary between nuclear evaporation and vacuum particle absorption (eating) is assumed to be about a stable Comet nucleus. 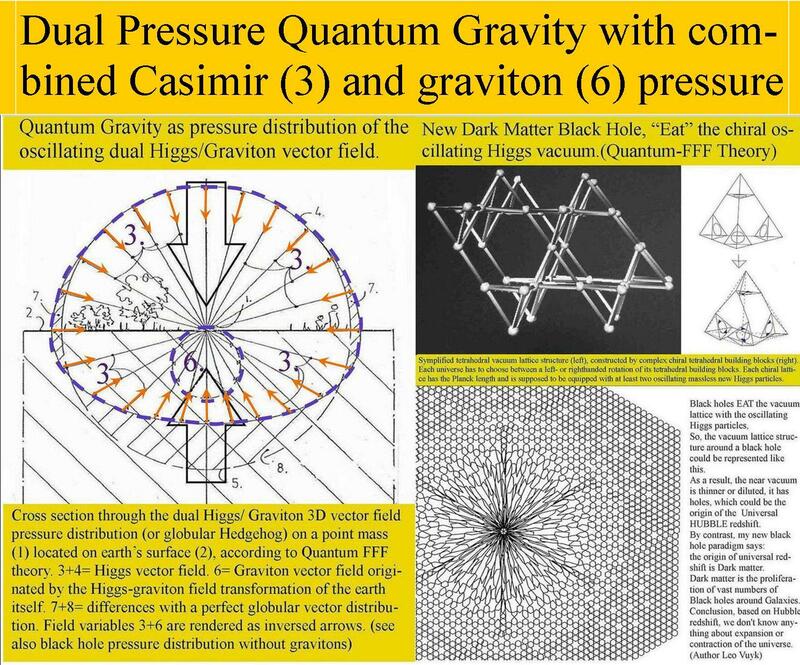 However the vacuum pressure must be in dynamic equilibrium and should not become under a certain level as observed by ball lightning and splitting Comet nuclei like Shoemaker Levi 9. 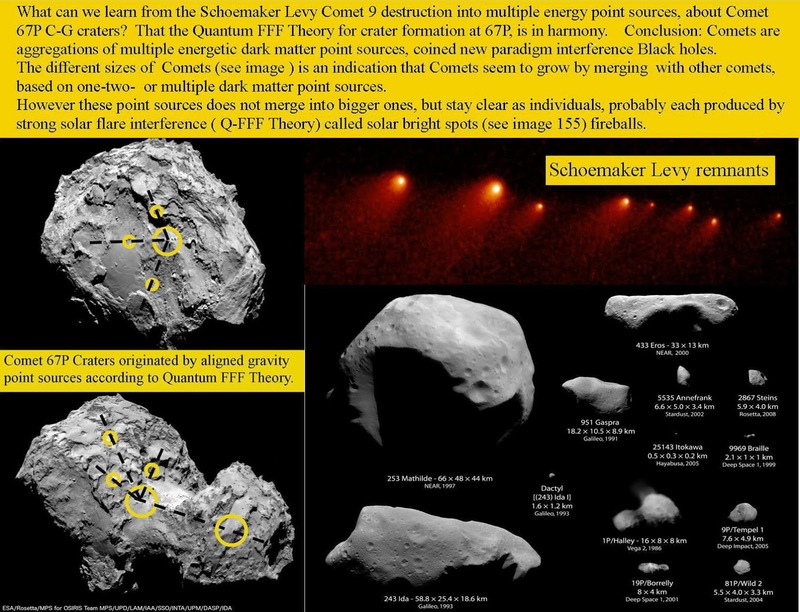 What can we learn from the Shoemaker Levy Comet 9 destruction into multiple energy point sources, about Comet 67P C-G craters? That the Quantum FFF Theory for crater formation at 67P, is in harmony. 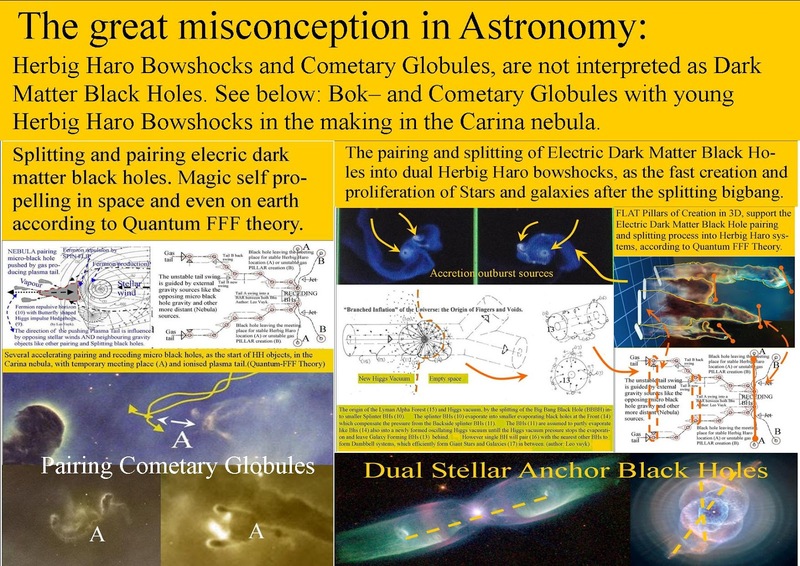 Conclusion: Comets are aggregations of multiple energetic dark matter point sources, coined new paradigm interference Black holes. The different sizes of Comets (see image ) is an indication that Comets seem to grow by merging with other comets, based on one-two- or multiple dark matter point sources. However these point sources does not merge into bigger ones, but stay clear as individuals, probably each produced by strong solar flare interference ( Q-FFF Theory) called solar bright spots (see image 155) fireballs. 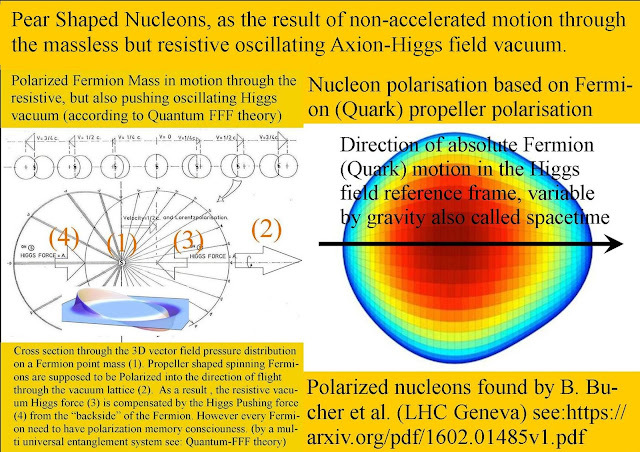 Axial Symmetric and Pear shaped Atom Nuclei through the massless resistive Axion Higgs field. 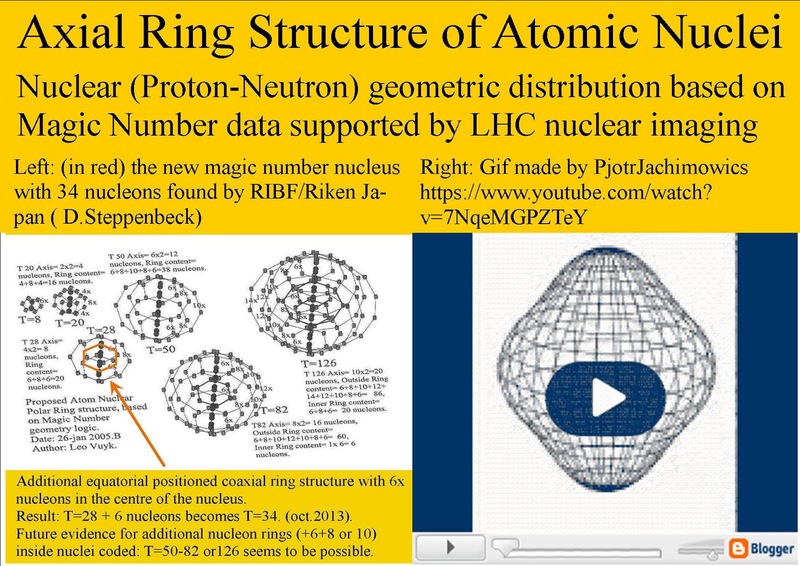 Magic Number Based Axial Ring Structure of Atomic Nuclei. Nuclear (Proton-Neutron) geometric distribution based on Magic Number data supported by LHC nuclear imaging. Below: B.Bucher et al. 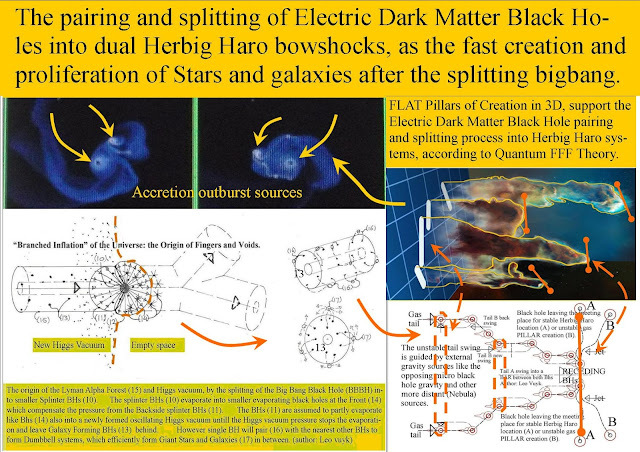 discovered via LHC at Geneva a pear shaped nuclear variant, pointing into only one fixed direction in space. 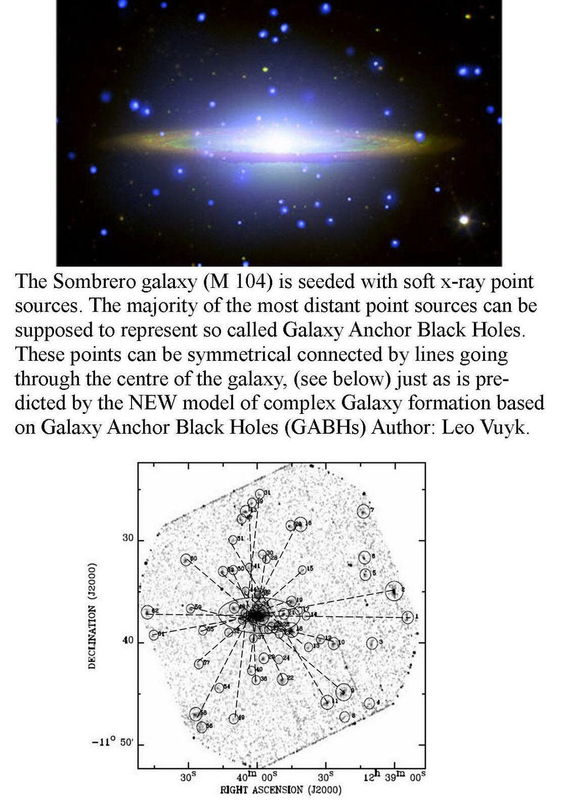 Dr Scheck says: "We've found these nuclei literally point towards a ( fixed) direction in space. This relates to a direction in time, proving there's a well-defined direction in time and we will always travel from past to present." Conclusion, according to Quantum FFF Model: the electron shell around the nucleus will contract along the central axis of the pear shaped nucleus. 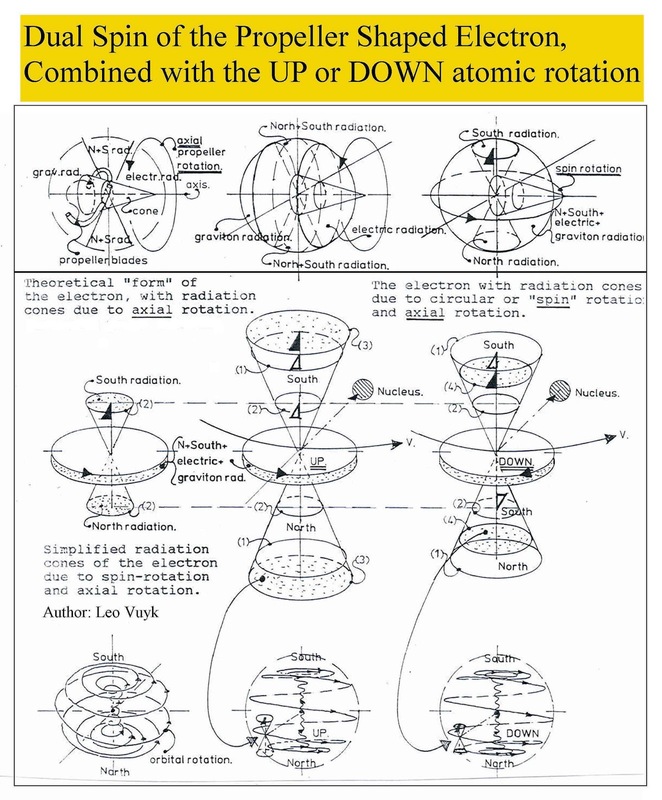 The result ; contraction of the atom sphere and thus contraction into the absolute direction of flight against the energetic oscillating vacuum lattice. 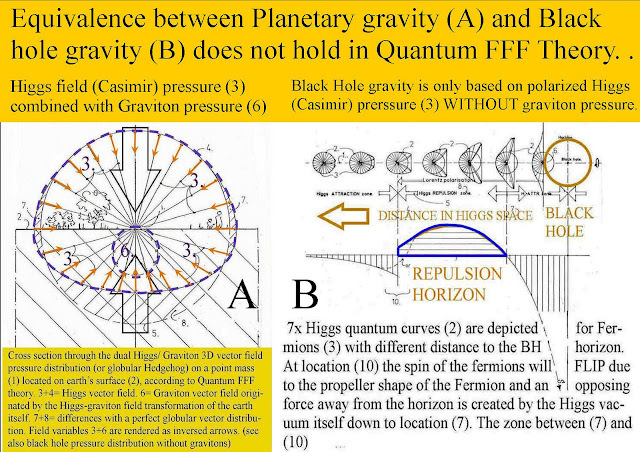 So my proposal is, that he found the spacetime reference frame for the laboratory location. In Quantum FFF Theory terms: he found the reference frame of the massless but resistive oscillating Axion -Higgs field. The Quantum FFF Model differences: What are the main differences of Q-FFFTheory with the standard model? 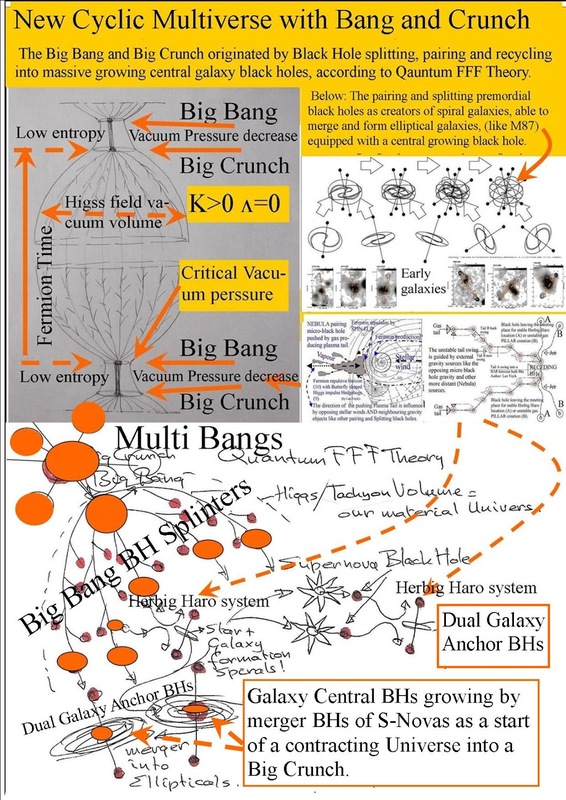 5, All particles have consciousness by their instant entanglement relation between 12 copy universes, however, humans have about 500 m.sec retardation to veto an act. ( Benjamin Libet). It was Abdus Salam who proposed that quarks and leptons should have a sub-quantum level structure, and that they are compound rigid particles with a specific non-zero sized form. Finally ! 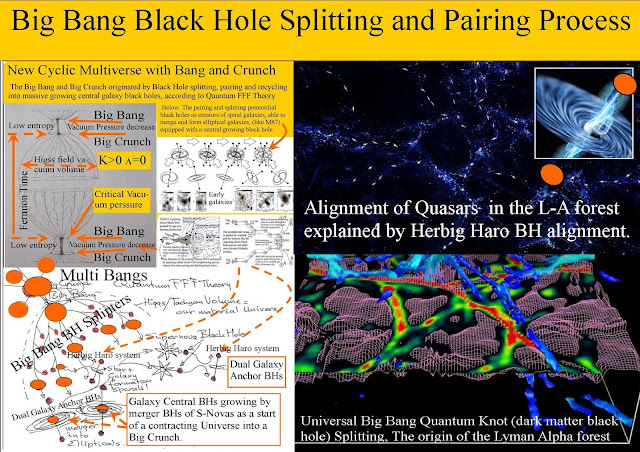 New Support for a Big Bang Black Hole splitting process. 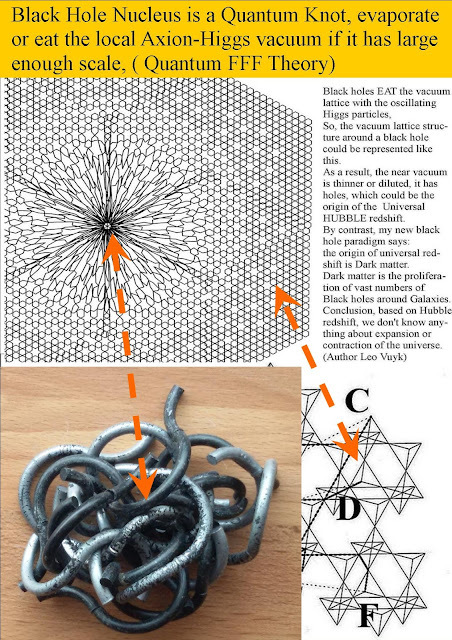 Evidence for a mid weight black hole!! 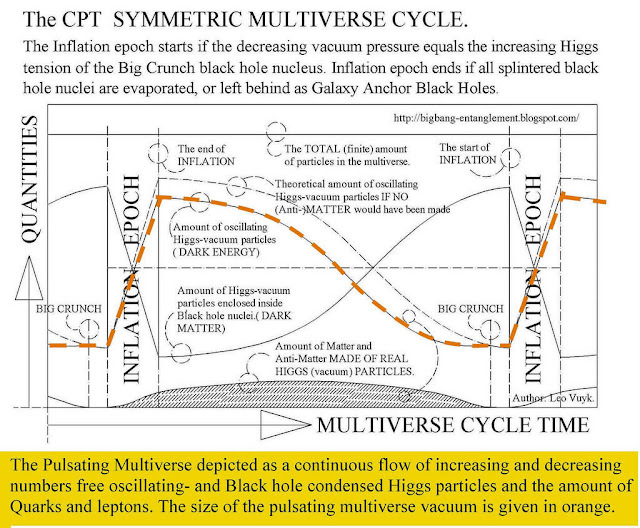 Is a new sign for a cyclic multiverse, so what happened before the big bang? a contracting BB. In Quantum FFF Theory this should be a so called Galaxy Anchor Black Hole ( GABH) and originaly expelled by the Big Bang BH splitting and pairing process. 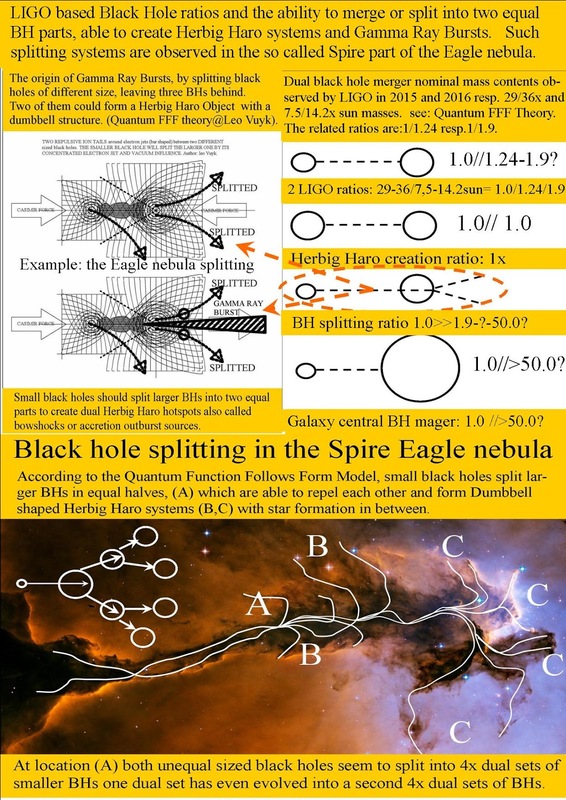 The BH splitting and pairing process is supposed to act fully autonomous as observed at small scales in several nebula. see the Spire Eagle Nebula below. 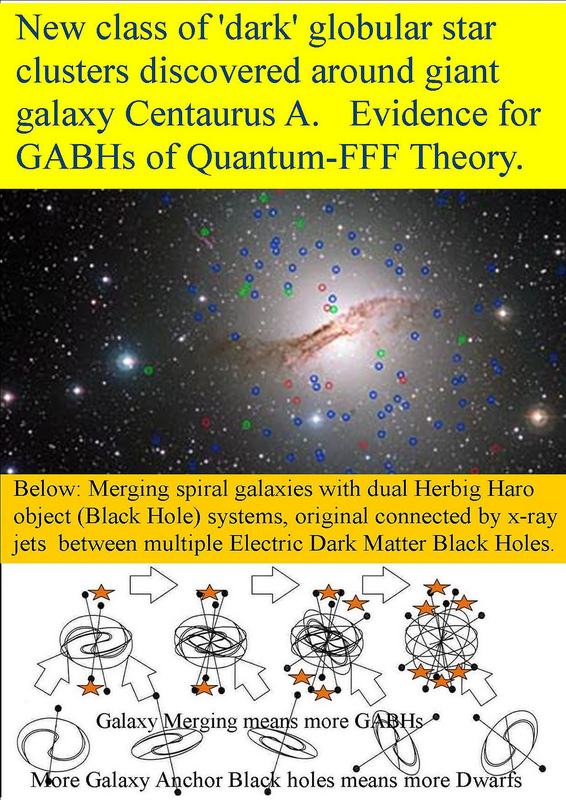 http://scitechdaily.com/astronomers-discover-an-intermediate-mass-black-hole/ So forming dual dumbbell systems ( Herbig Haro systems) to make spiral galaxies in the first place, but later after merging with other galaxies, also Star clusters. 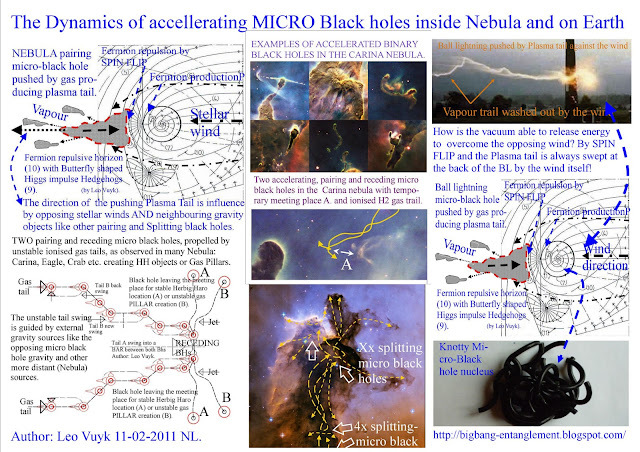 Galaxy central black holes are only the rersult of a small BH ( supernova BH) merging process first! According to the Quantum Function Follows Form Model, small black holes split larger BHs in equal halves, (A) which are able to repel each other and form Dumbbell shaped Herbig Haro systems (B,C) with star formation in between. 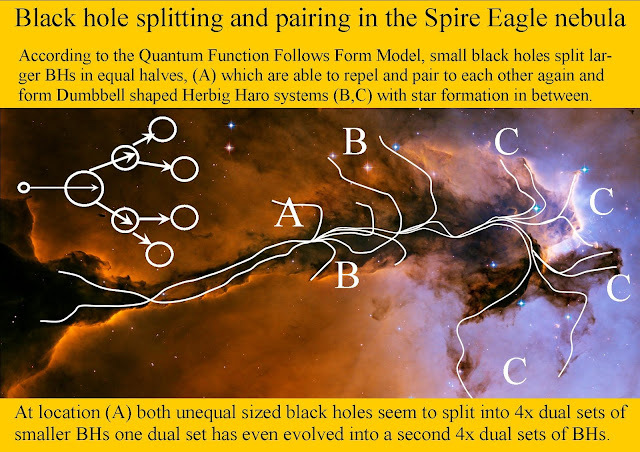 At location (A) both unequal sized black holes seem to split into 4x dual sets of smaller BHs one dual set has even evolved into a second 4x dual sets of BHs. 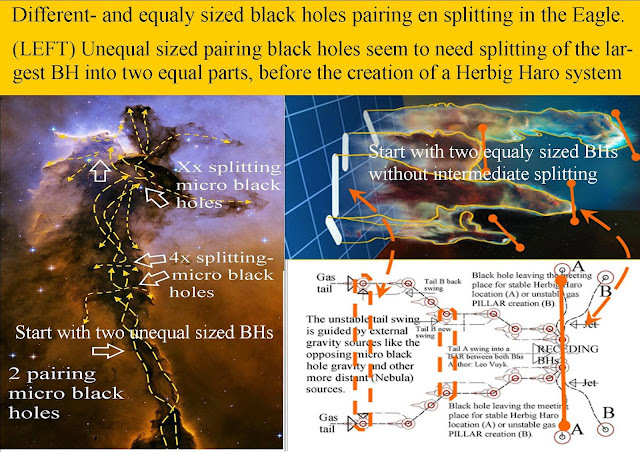 Autonomous Herbig Haro system process of pairing or splitting BHs. 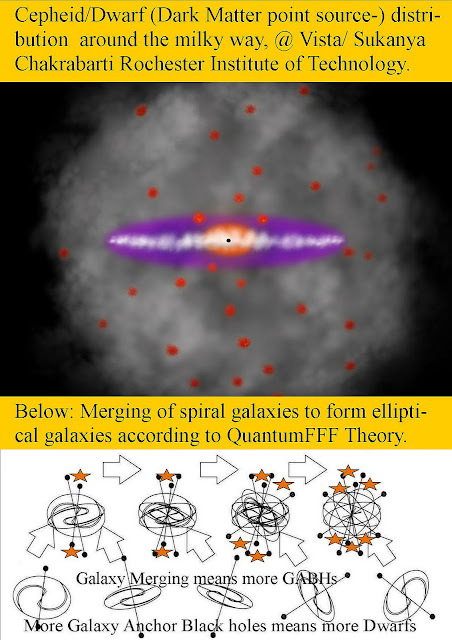 as the result of merged spiral galaxies of different sizes. 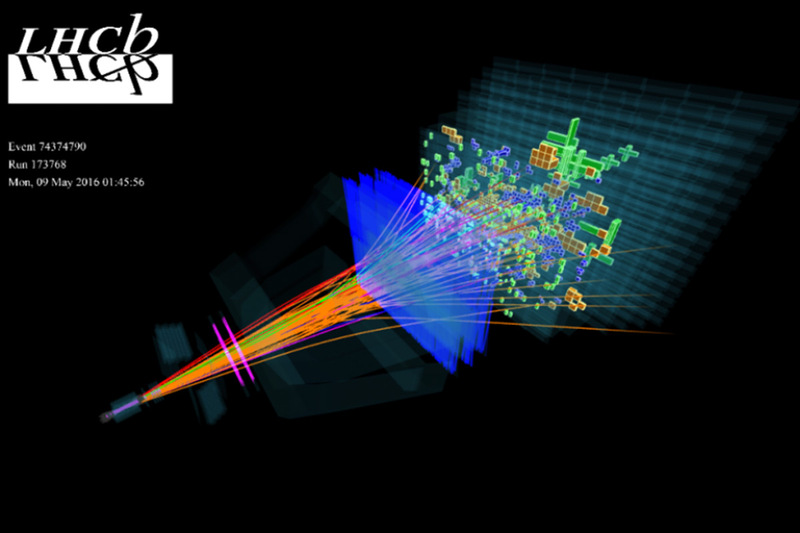 LHC sees matter and antimatter misbehaving in alternate particle. Now, Neri and his colleagues have checked another kind of particle: baryons, which are made of three quarks and no antiquarks. Neutrons and protons, the building blocks of matter, are baryons. 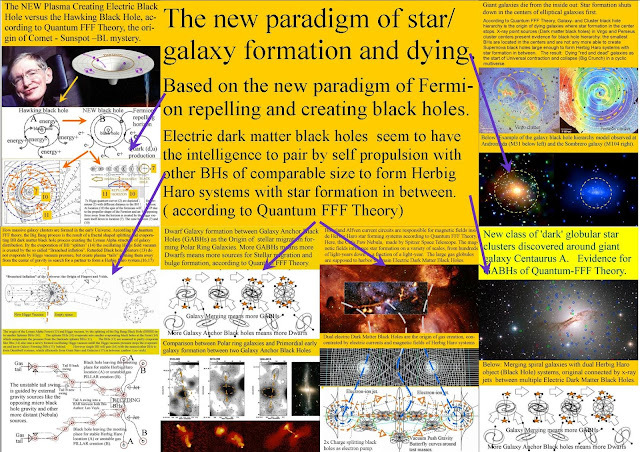 Measurement of matter–antimatter differences in beauty baryon decays. 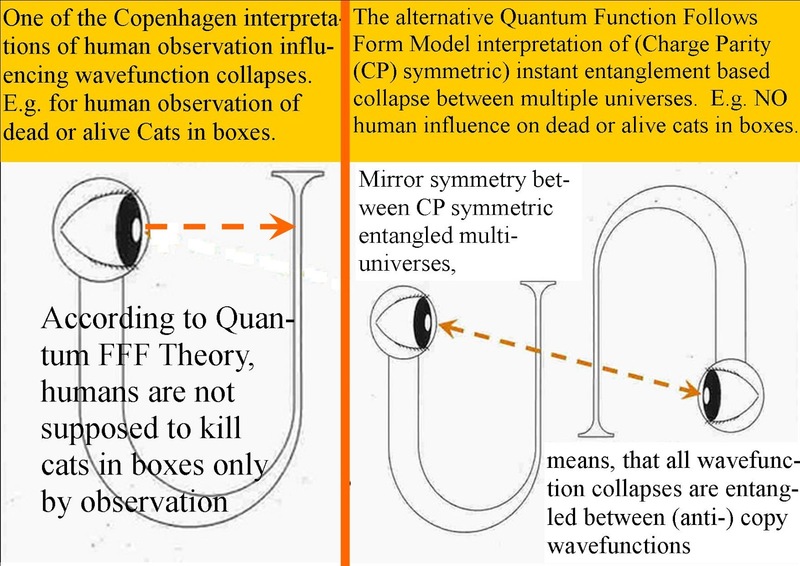 However according to Quantum FFF Theory, we live inside one (material bubble) of the 8 or even 12 supersymmetric instant entangled universal copy bubbles. So the LHC measurement s are a great support. 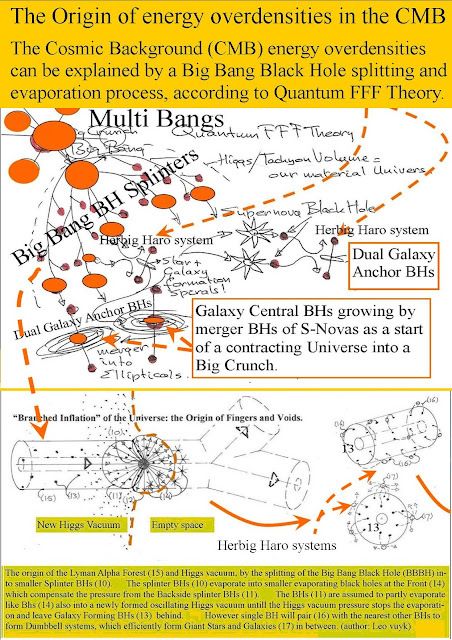 "God Seems to Play Dice with Dual Entangled Pinball Machines in a Supersymmetric (Susy) Multiverse." Postulation: In the double slit experiment on earth, only one slit is used while instant entangled in the opposite CP symmetric copy universe(s) the other opposite slit is used leading to an inter universal interference process! 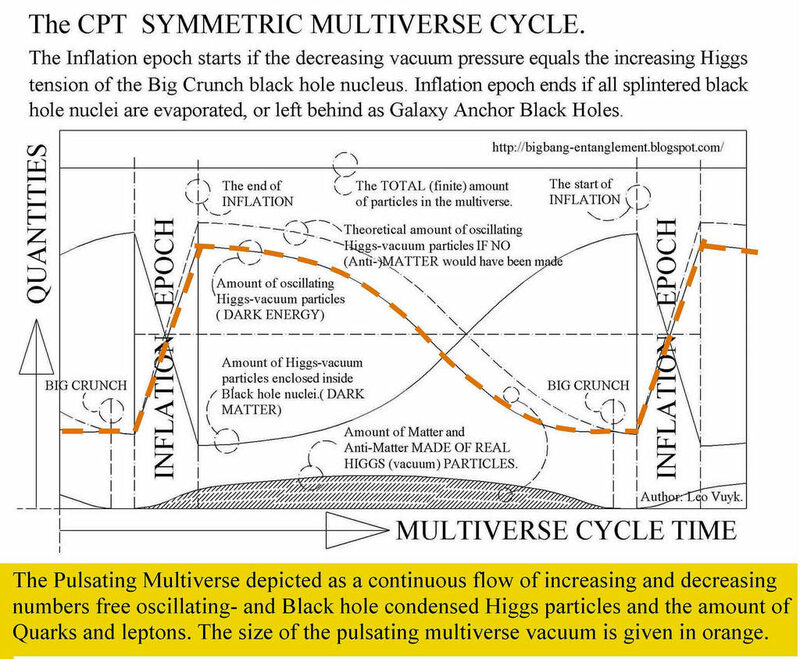 and: "CP Symmetry Between Material and Anti Material Copy Universes Combined with Local- and Multi-Universal Cycle Time." 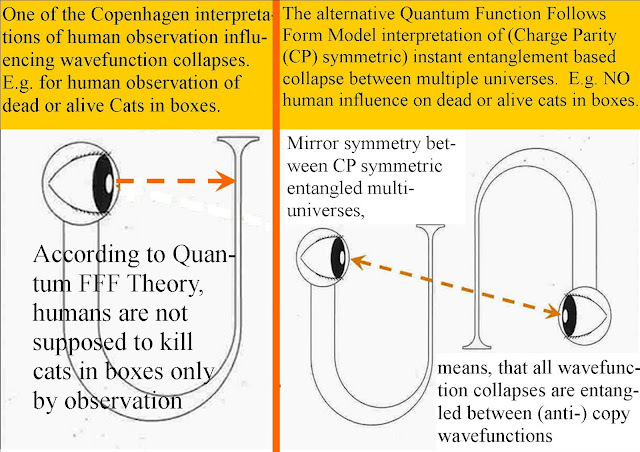 The starting point of Quantum FFF Theory in 2011. 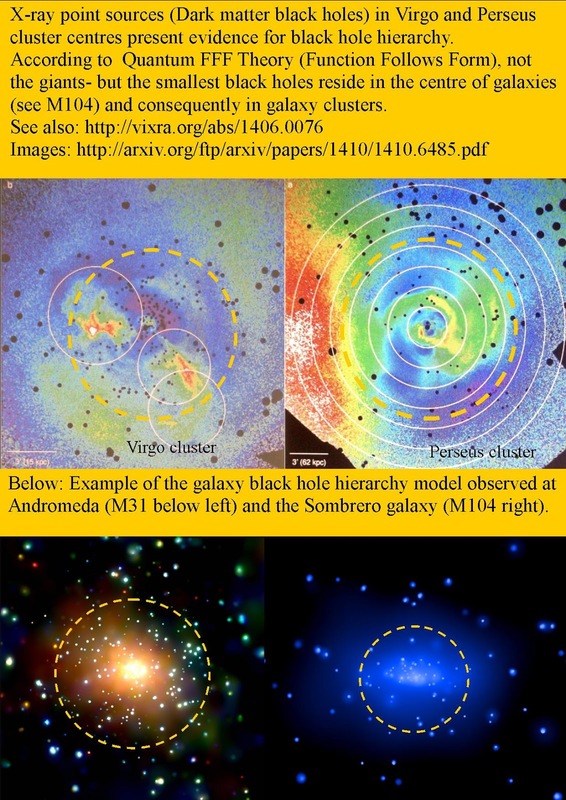 New stars discovery shed new light on Galaxy's formation/ destruction? Why? 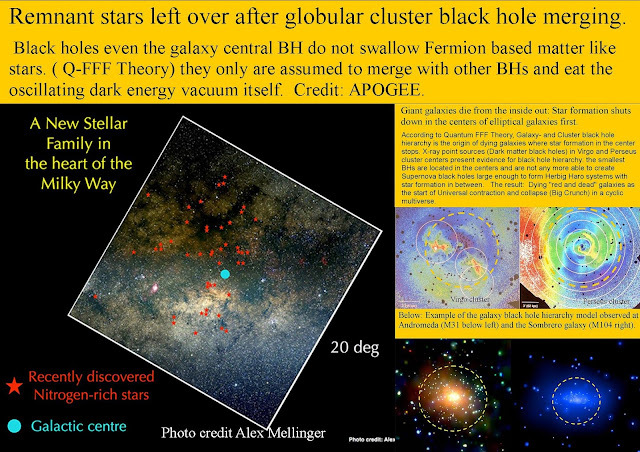 black holes even the galaxy central BH do not swallow Fermion based matter like stars. 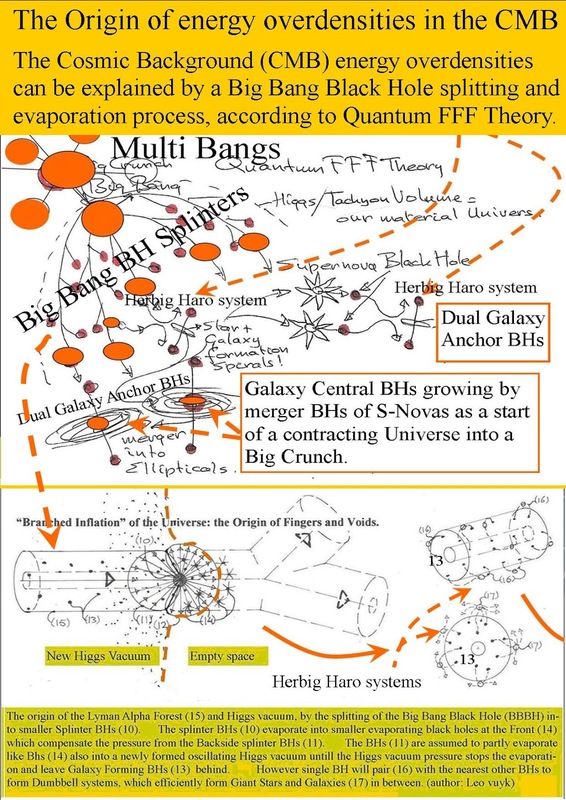 ( Q-FFF Theory) they only are assumed to merge with other BHs and eat the oscillating dark energy vacuum itself. 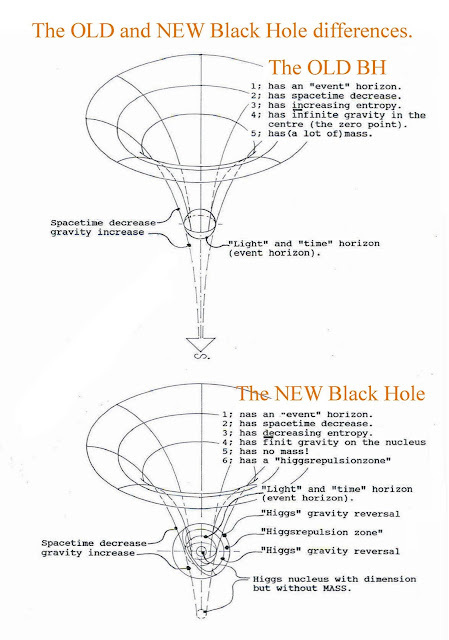 The Origin of Hubble Redshift: Black Hole Vacuum Absorption. The vacuum Lattice is supposed to represent a dynamic reference frame and the so called Dark Energy or Zero Point Energy acting as the motor for all Fermion spin and as the transfer medium for all photon information, leading to local lightspeed and local time. 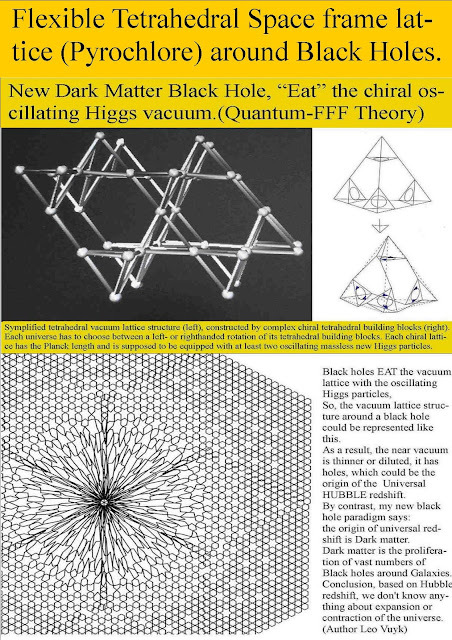 The energetic vacuum lattice is also assumed to act as a Gravity Quantum Dipole Repeller because gravitons do not supposed to attract- but repel Fermions with less impulse than the vacuum particles. 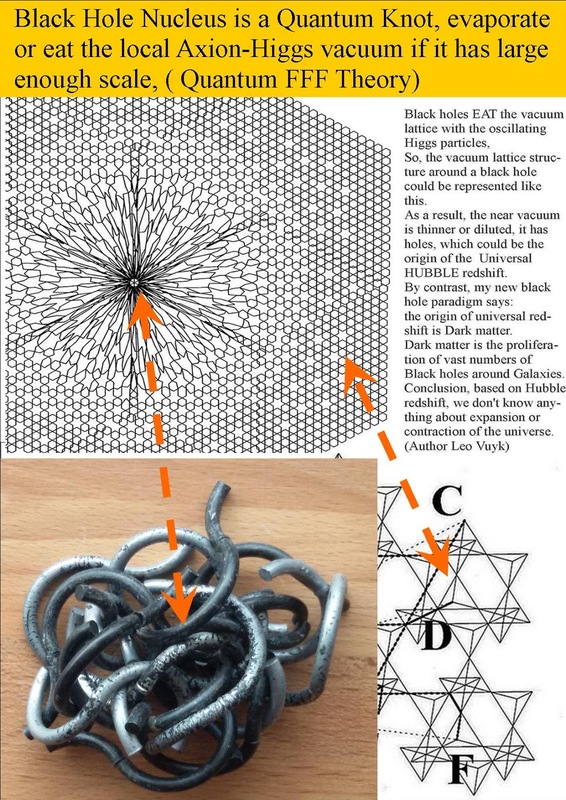 So, Feynman diagrams become more complex than before.. Recent measurements by Yehuda Hoffman et al. did show the repelling effect of “empty space” in opposition of the “attracting gravity effect” of super clusters which he called “Dipole Repeller” effect. Higgs Field) then we also may assume that the universal vacuum between galaxy clusters should be also subjected to this absorption process, ( which surpass the redshift of relative speed) as a sign for universal contraction and negative entropy, leading to a cyclic universe. 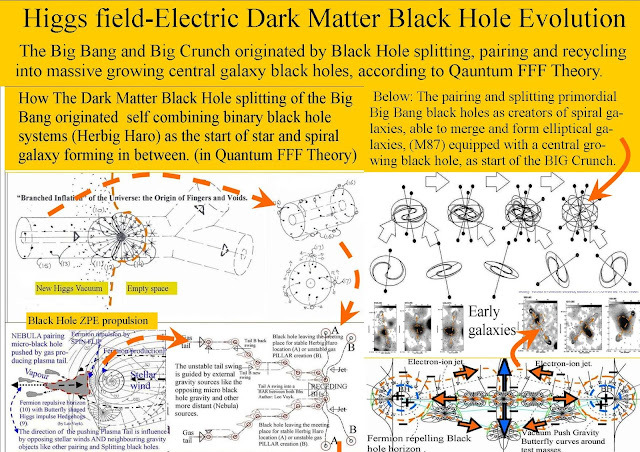 All Black holes EAT the dark energy Axion-Higgs vacuum lattice supposed to be the origin of the Hubble redshift and universal contraction. The Real Origin Of Hubble Redshift: Black Hole Vacuum Absorption.